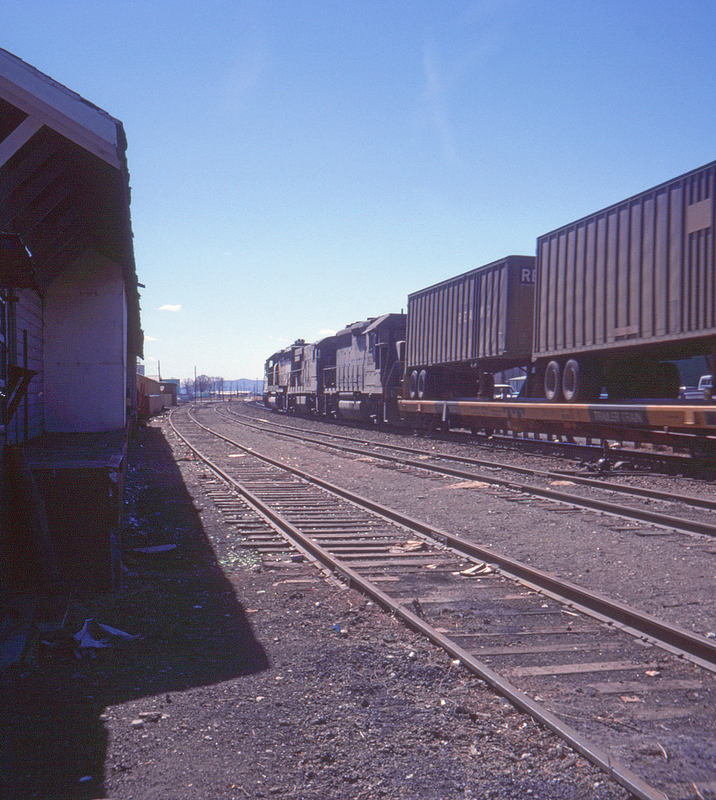 A westbound Western Pacific freight on Southern Pacific rails passes the Southern Pacific's freight station at left on its way out of Elko, Nevada. Due to the paired trackage arrangement between the two railroads, westbound freights used Southern Pacific rails and eastbounds used Western Pacific between Alazon (near Wells) and Weso (east of Winnemucca), Nevada. This shot looks southwest from the Third Street grade crossing.